MARCH issue of JMPB now available to ISMPB Members! Validity of Smartphone Applications at Measuring Steps: Does Wear Location Matter? 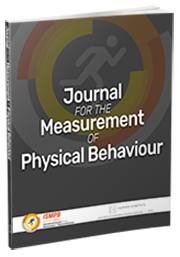 Access to the Journal for the Measurement of Physical Behaviour is a benefit of membership.